Sometimes we recoil from something that is unfamiliar to us, even if it’s a better solution to a problem. We need to get used to it before we can appreciate it. Ground breaking designs and ideas are like this. It takes a visionary and early adopter to recognize the beauty and significance of a radically different ground breaking design or idea before it is accepted by the masses. The Herman Miller Furniture Company has never been afraid to embrace radical ideas. D.J. DePree persuaded his father in law, a risk-taking entrepreneur named Herman Miller, to buy the Star Furniture Company in Zeeland, Michigan in 1923, and ignore the naysayers by transforming the traditional furniture line of the company into a functional modern line. While DePree knew nothing about modern design, he had enough foresight to understand where the world was headed. He sought out the most cutting-edge designers of the time including Gilbert Rhode, George Nelson, Charles Eames and Alexander Girard in the 1950s. DePree’s faith in these designers’ creativity allowed for the atmosphere of risk taking leading edge design. The company continues to seek out cutting edge designers. Their commitment to a design driven philosophy translates into a devotion to quality, consumer research and empathy towards the human condition in its human-centered design. Its human-centered design ideas produced the Aeron Chair which came on the market in 1994. The office chair was a result of much human-centered research and the observation of shifting life and work styles. People were working from home, sitting in front of a computer more and working longer hours. Seeing a void in the market, Herman Miller designers set out to create a more streamlined, ergonomic chair. The choice office chair at the time resembled a puffy throne. 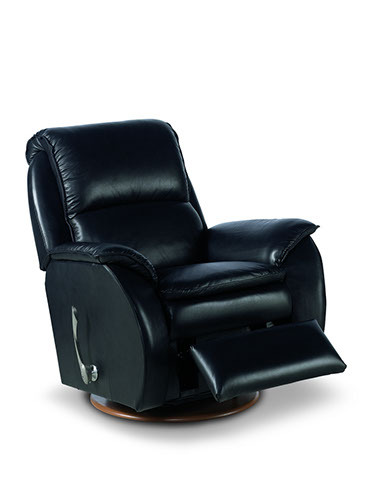 Remember the Lazy Boy recliner? So when Herman Miller carried out user testing of the minimally designed, exoskeleton like Aeron Chair in 1992, it was difficult for people to wrap their heads around it. On a comfort scale of 1-10, the testers scored it at 4.75. People expressed worry that the chair was unstable and wouldn’t hold them – they weren’t used to such streamlined furniture! 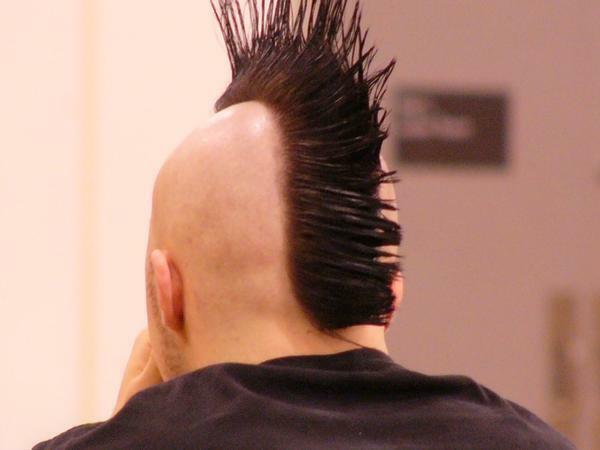 After designers tweaked the design, people overcame their hesitations and the score shot up to 8. However, the scores for the aesthetics still hovered between 2 and 3. The odd thing was, designers know that there is usually a strong connection between comfort and aesthetics. In other words, if someone perceives something to be comfortable then it will be. People are funny that way. 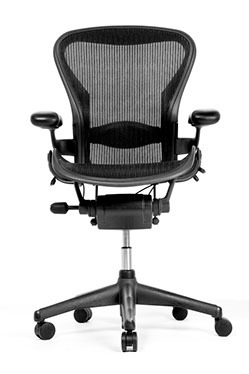 In the Aeron’s case though, people were rating it as comfortable but incredibly ugly. 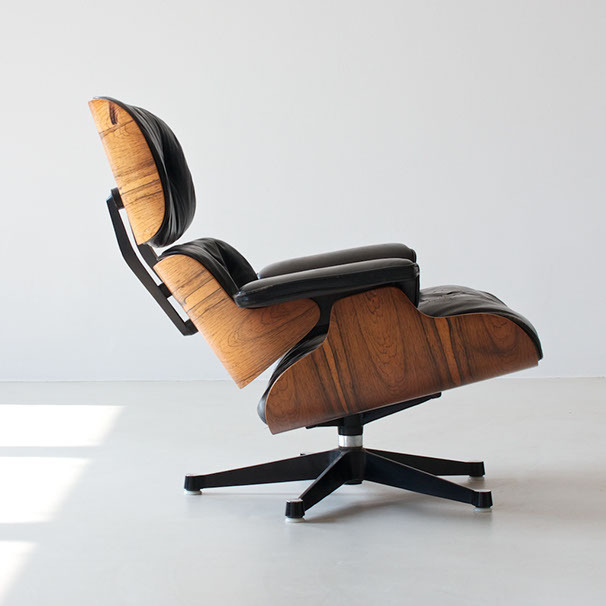 Usually a furniture store won’t place a product on the market unless it receives all around scores of at least 7 but Herman Miller had invested an enormous amount of money in the development of the chair. It was a huge risk but Herman Miller decided to go with its instinct and place the chair on the market anyway. It was a good thing they did. The chair drew keen interest from the design community and the chair won a “Designs of the Decade” Gold Winner Office Furniture Category award from the Industrial Designers Society of America and Business Week magazine in 1999. It became a cult object, appeared in a number of movies and TV commercials and ushered a new age of a stripped down aesthetic. . A symbol of innovation, the chair was popular in Silicon Valley. This chair redefined what beauty could be. Since the end of the 1990s, it has become the best-selling chair in the history of the Herman Miller Company. Today, it scores an aesthetic rating of 8 from testers. Consumers’ first impressions need to be interpreted. The Aeron Chair was very different from anything people had ever seen and because it was so new and unusual, the testers called it ugly. They were misinterpreting their own feelings about the chair. All of this forward thinking has translated into financial gain and respect among consumers. As well as garnering numerous other awards, Herman Miller was ranked as “the most admired furniture company” by Fortune magazine. People actually appreciate when a company isn’t just trying to make a profit off of them and when that company is trying to solve problems and improve their lives! So How is Hypnap Like Herman Miller? We like to think there is a lot of correlation between Herman Miller and Hypnap and the Aeron Chair and our product the TruRest, an adjustable, collapsible and portable travel sleep aid that allows the user to rest in a supported, forward leaning position. Here at Hypnap we also want to make improving people’s lives our primary goal. We’ve invested a great deal into the research and development of the TruRest. A human-centered, design-centered philosophy is at our core and like Herman Miller, we hired forward-thinking designers to help us with that. We embrace radical ideas! When people see our product for the first time, many aren’t sure what to make of it. We understand! Here at Hypnap we encourage you to question your perceptions and be open to new ideas because sometimes those ideas, as strange as they might seem at first, offer a better solution to a problem and improve your life.